It's a bunny break-out! A herd of hasty hoppers is headed for the hills, and it's your job to halt them. Work together as a team to corral the cottontails by flicking, lifting, and rolling the dice. But hop to it! There's trouble afoot if they all escape before you can mend the fences. 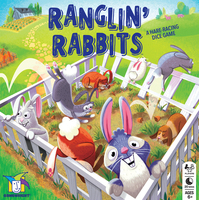 Wrangle the rabbits and you're a 24-carrot champion! We’ve played lots of cooperative games but we’re pretty sure this is the first cooperative dexterity game. 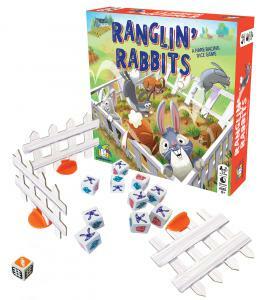 Inventors Evan Eaton Rowland and Thomas J. Rabideau came up with this wildly whimsical game that highlights of one of the most obvious but least exploited properties of dice – namely their ability to “bounce”. 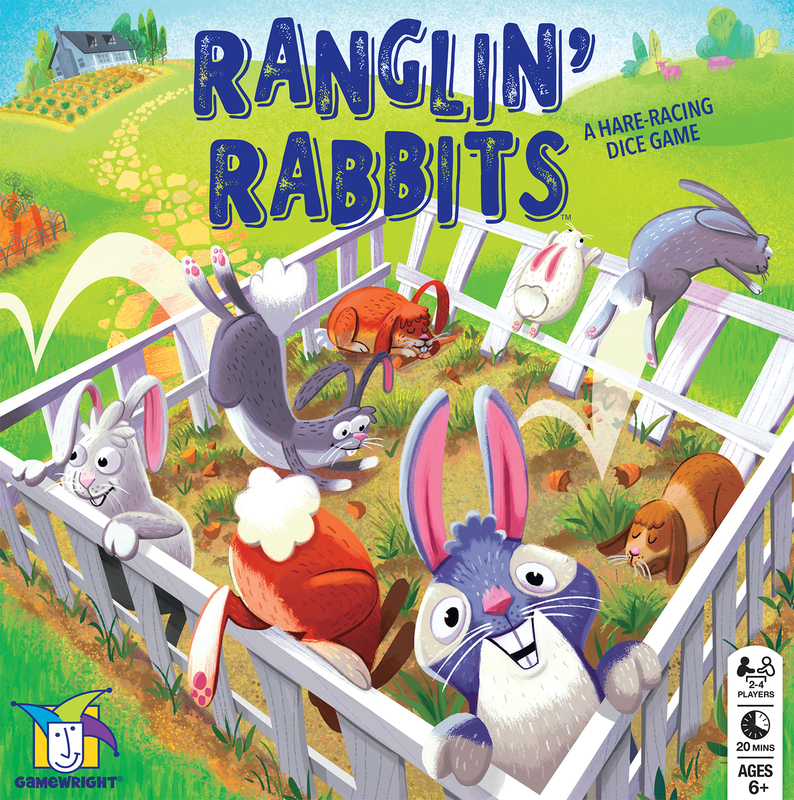 As you wrangle all those bouncing bunnies, you’ll hone some valuable skills, like hand-eye coordination, estimating distance, and most importantly – team-work. Work your way up the ranks until your team reaches the level of Bunny Genius!